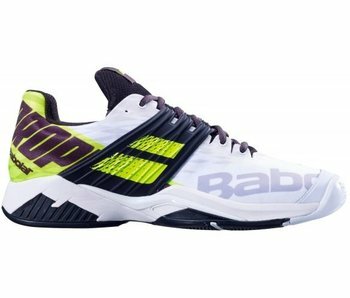 The Propulse Fury is back and updated to be more lightweight, durable, comfortable and breathable than any previous version. 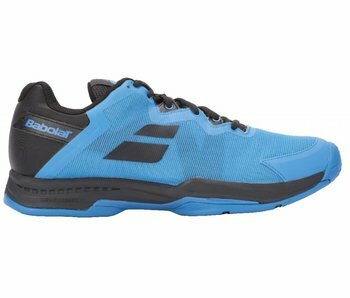 The Propulse Rage is a durable, stable and comfortable shoe made to go the distance. The 360 degree insock wraps naturally around the foot for greater comfort. 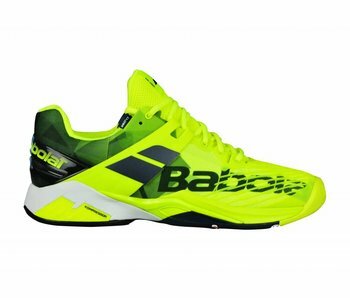 The Babolat's Propulse Fury is a sturdy and dependable shoe. The 360º Insock, along with the external Power Belt exo-strap, completely wraps around your foot for superior stability. 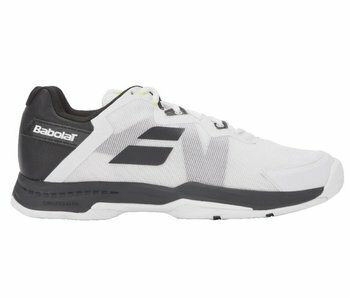 The Jet Mach 1 men's shoe is the ultimate in lightweight. 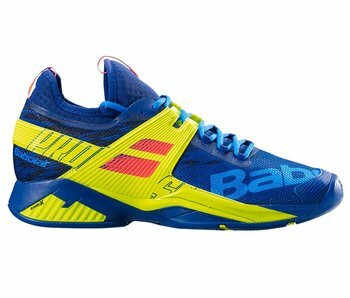 One of the lightest shoes on the market, this shoe has added technologies to help ensure durability. 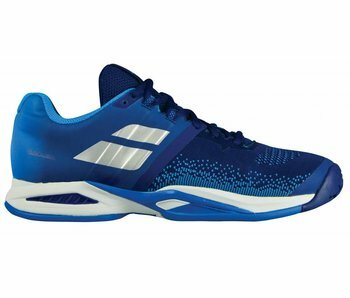 The Propulse Blast navy and blue men's shoe is a light and breathable shoe with a midsole strap that adds stability and security. The Propulse Fury AC Red/Blue/White Men's shoe's higher collar, shoe construction and Powerbelt make your foot feel comfortable and supported as soon as you slide into it. 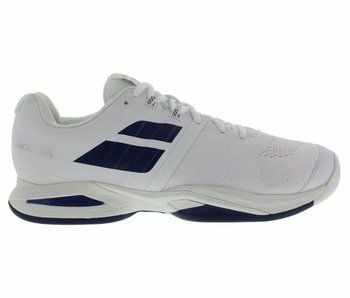 The Ortholite insole and Kompressor heel cushioning offer excellent absorption. 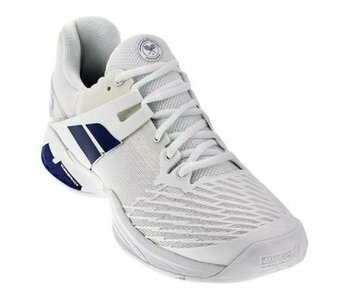 The Propulse Blast white and navy men's shoe is a light and breathable shoe with a midsole strap that adds stability and security. 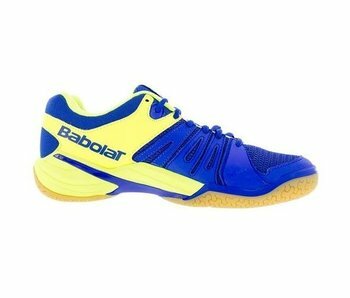 Babolat's Shadow Spirit indoor tennis shoes are comfortable and stick to the sometimes slicker surface on indoor courts. 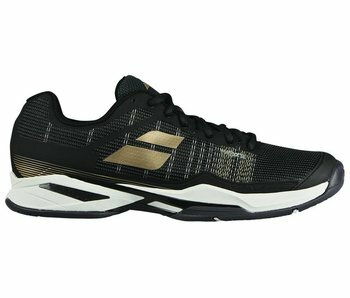 The Propulse Fury men's tennis shoe brings the security, dependability and stability unlike almost any other shoe. The Michelin sole is built to last.